As would be expected, Garth Brooks strives for an epic statement on his re-entry into full-time recording, after a 13-year hiatus. Unlike most modern male country stars, Brooks looks beyond partying and celebrating rural life on "Man Against Machine." Like U2 or Bruce Springsteen, Brooks positions himself as a cultural figurehead who speaks for, and to, the common man. To his credit, Brooks represents the middle class who work too many hours and devote their earnings to getting by in a society that's "rotten to the core," as he states in the title song, which pits a desperate man making a stand against an Orwellian power structure. The album shows the influence of country rockers Jason Aldean and Eric Church in its heavy guitars and dark-hued themes. But he doesn't go for auto-tuned vocals, rhythm loops or rapping. The songs are weighty and wordy, taking up where his albums "Scarecrow" and "In the Life of Chris Gaines" left off. Some tunes — "She's Tired of Boys" and "Midnight Train" — could benefit from the concise editing that defines the best country songwriting. 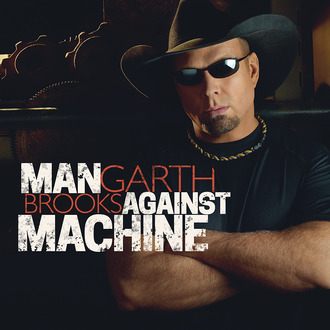 However, the unabashed sentiment of "Mom," the cowboy swing of "Rodeo and Juliet" and the jaunty, dobro-led "Wrong About You" suggest the possibilities of country music in the 2010s just as Brooks' classics did in the 1990s. Now, like then, Brooks' desire to address life's important themes should be welcomed into a country music scene that rarely shows such ambition these days.